We call this a “Super Potash” like the famous Advanced nutrients Big Bud but in our experiments we find it performs much better! Use this where you would normally use a simple potash for outstanding nectar production. Some reports have been of flowers falling over in a weekend’s use! 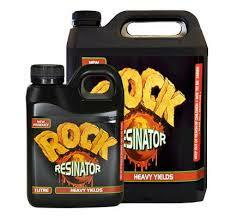 Rock Resinator-Triple Action Technological Breakthrough! Have you ever wondered how to get even more quality and aroma from your plants than you currently do? After you’ve grown your plants for so many weeks and got them successfully to the harvest stage, you certainly want to reap only the best quality for your efforts. Until the introduction of Rock Resinator, there has been no guaranteed way to do this. Up until now, getting superb quality has been something of a hit and miss affair. There are many additives that claim IMPROVED QUALITY, and no doubt you have tried some or all of them, but the actual results produced WILL BE variable for most growers. Well, no longer. You can now have it all. Heavy yields and superb quality that will blow your socks off are now within easy reach of any grower. When you use triple action Rock Resinator you are guaranteeing yourself the highest quality and heavy yields EVERY TIME. Directions: Shake well before use. Rock Resinator should be used after the second week of flowering through to harvest at a rate of 1ml per litre for lower EC’s and up to 2ml per litre for higher EC’s. 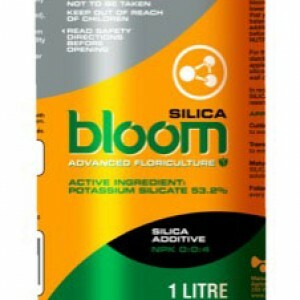 Suitable for all hydroponic and soil grown plants.